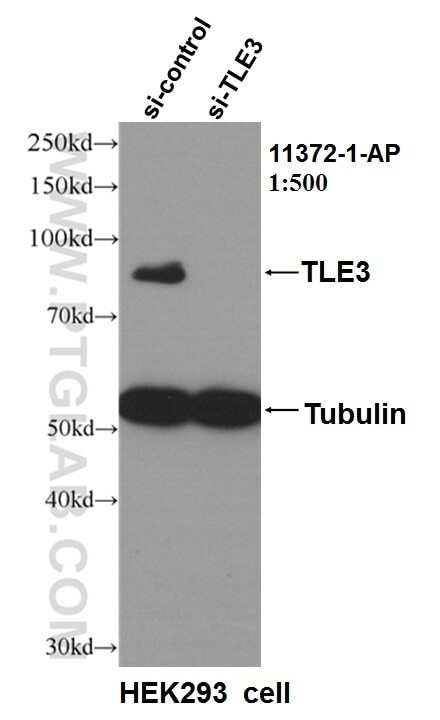 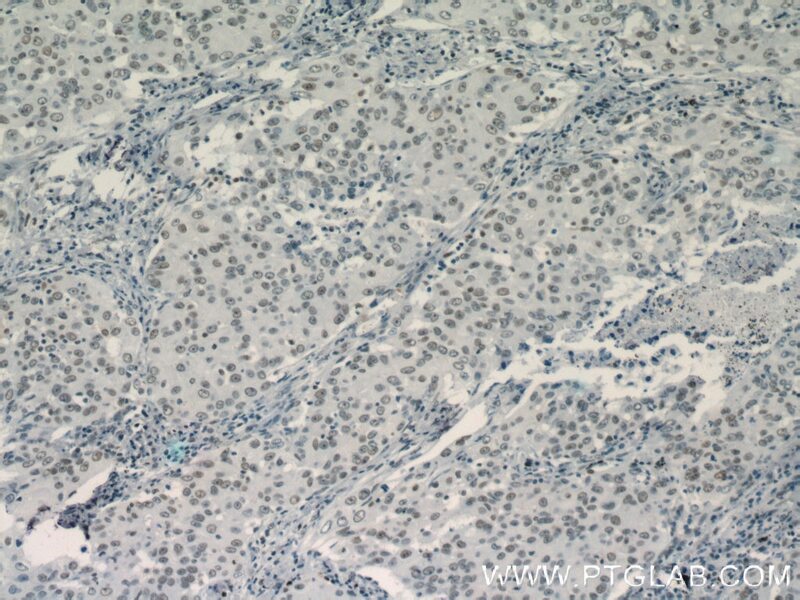 WB result of TLE3 antibody (11372-1-AP, 1:500) with si-Control and si-TLE3 transfected HEK293 cells. 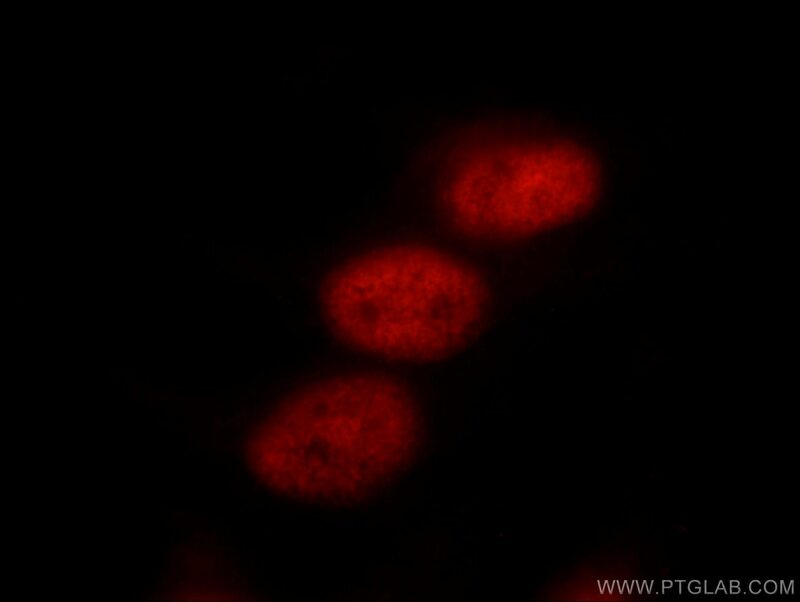 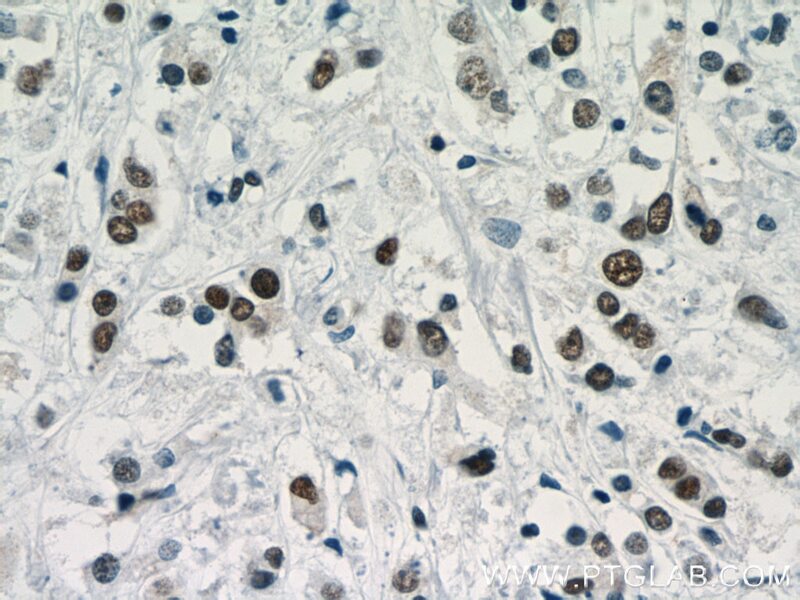 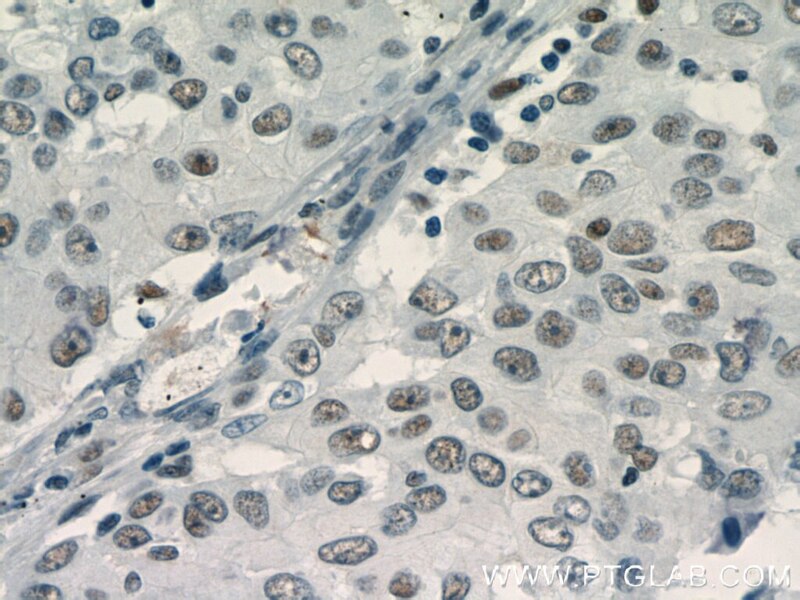 IP Result of anti-TLE3 (IP:11372-1-AP, 4ug; Detection:11372-1-AP 1:300) with HeLa cells lysate 1600ug. 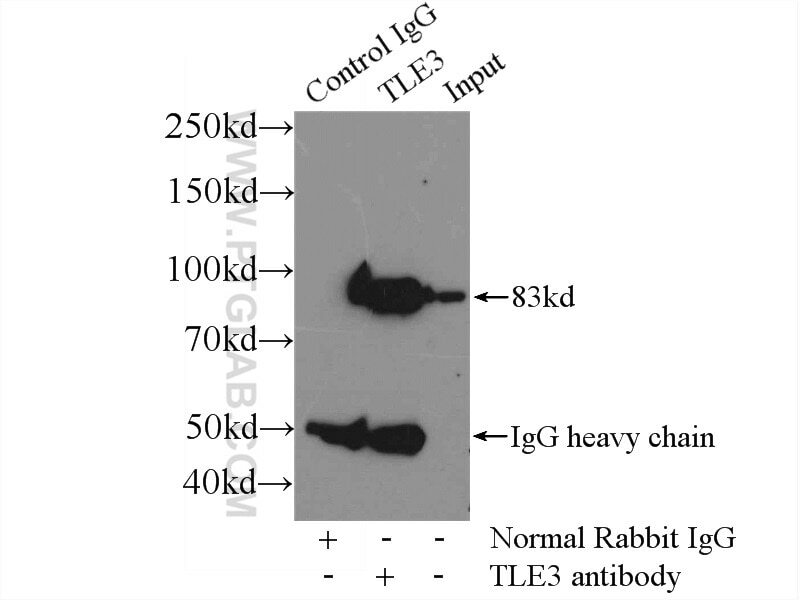 The transcriptional co-repressor TLE3 regulates myogenic differentiation by repressing the activity of the MyoD transcription factor. 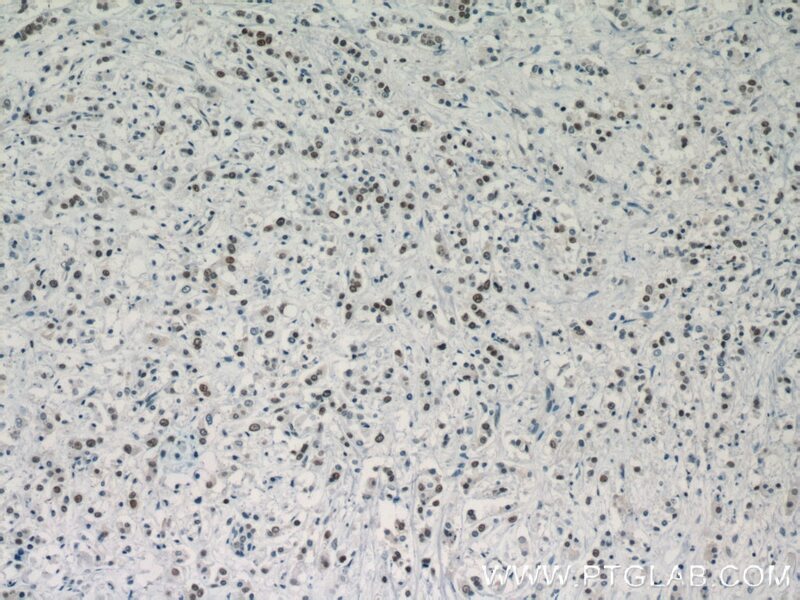 Tle corepressors are differentially partitioned to instruct CD8+ T cell lineage choice and identity.